Here’s how award-winning hairstylist Jay Mahmood trusts his instincts— even when other people think differently. Jay Mahmood hasn’t worked behind the chair for more than a decade. Even still, he remains on the cutting edge by following his passion and his instincts. 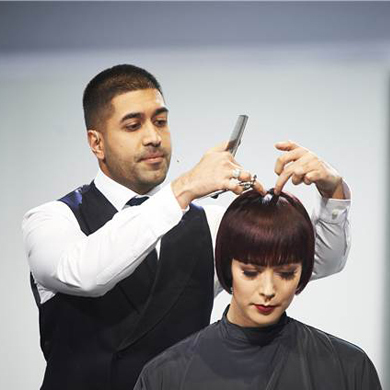 Travelling extensively worldwide to educate fellow hairstylists as Goldwell’s global cutting ambassador, he says the secret to ultimate success is education. 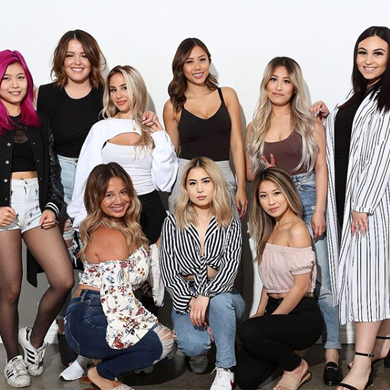 And with more hairstylists leaving the industry before their career even starts, Mahmood is on a mission to fuel the passion of educators, and not just that of up-and-coming hairstylists. “People start their career, they are really excited, and then something happens,” he says. “We need to ask ourselves as educators, ‘Are we inspiring them enough? Are we setting the right example for them?’” On a recent trip to Toronto, we sat down with Mahmood for his perspective on why education is so important, what educators should be doing right now to cultivate the next generation, and why everyone should go with their gut instincts first. What got you involved in education in the first place? When I think back on my journey, there were times when I felt let down. There were many people teaching me who didn’t believe in me and they didn’t exactly support me. I remember thinking that when I got good at cutting hair, I wanted to help people like me who were told they weren’t good enough. I guess I wanted to dedicate myself to those types of people. 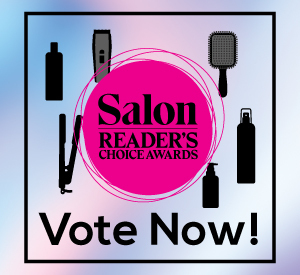 As a student and a new hairstylist, what was most challenging for you? I had great training. But at times you get off on the wrong foot with people and I had a couple of teachers like that. One teacher even said this wasn’t the career for me. I always thought this was my career path, and look, now I teach in my industry. So, in a way, it was a good thing that it worked out as it did? It made me more determined. When you come out of school, you’re a kid, really. I look back and maybe I could have had a different attitude. I think, though, it’s tough to hear as a kid that you aren’t going to make it. Tim Hartley, who was our global boss at Sassoon at the time, would take me to shows and took me under his wing. What advice do you give to educators who are working with a younger generation? Be really patient. When I want to see their potential, I don’t look at their ability at hair, but I look at everything else they do. From the way they sweep, to how they fold their towels, to how they line up their tools. That’s what I look at because that will tell me everything about their commitment and whether they takes it upon themselves to be ready for class. That level of discipline comes from within. That will tell you what you need to know about them. What would you say to a young hairstylist who feels discouraged? Before questioning your commitment to the industry, look at where you are. Sometimes it’s the environment you’re in and sometimes that can make a difference. You can’t give up if you love hair. You have to be true to yourself. 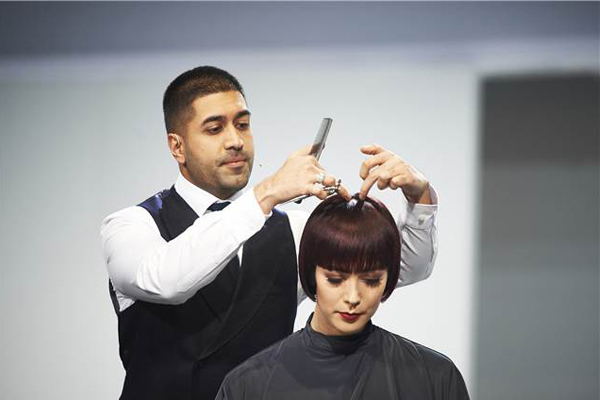 When I look at my career, I was at Sassoon for 11 years and I got to a stage where I felt I needed a challenge. Then I went to Allilon and I ran that academy. And then I got to a stage where I felt I needed another challenge. If you feel you need a change, you need to follow that instinct, but it can be quite scary. So, how do you get over that fear? What was leaving like for you? Fear is what we create in our own minds. The worst thing, in any situation in life, is feeling safe. Safety doesn’t promote growth. I would say if something scares you, do it. When I was leaving Sassoon after 11 years—a job I came to when I was out of school, I knew the team I was going to. I trusted them and their vision excited me. But then you made another big change and took on a new challenge. How did that happen? The interesting thing is, I was about to set up my own brand at the time. I had a great job with Allilon but I remember sitting down and saying I need to move on. They said, ‘Okay, do you have a job?’ ] I didn’t but I knew it felt right. I knew it was time to leave and I trusted myself. I knew I was going to set up my own brand and travel and teach as a global educator—I knew that much. I was very true to what I was feeling and I didn’t let fear distract me from my next move. 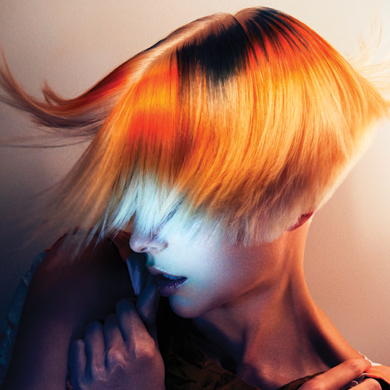 How did you become the global cutting ambassador for Goldwell? A good friend of mine became a regional education manager for Goldwell. We were talking one night and I confided in him that I was thinking of putting together my own academy. He said that he felt Goldwell could use someone like me, who specializes in putting education systems into place like I do. He was having a meeting with the global team that week, which led to me receiving a bunch of messages because John Maroney [Goldwell’s VP and global creative director] was interested in setting up a cutting curriculum.